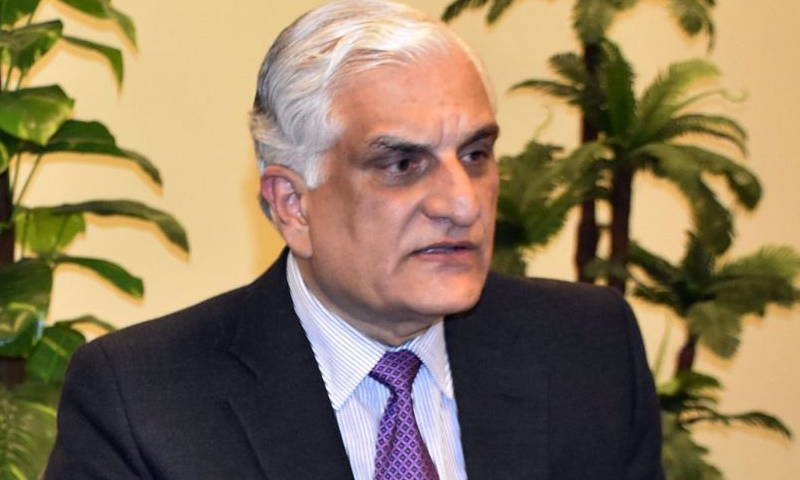 ISLAMABAD: Federal Minister Zahid Hamid said on Wednesday that the Ministry of Climate Change has reiterated its commitments regarding sharing and placement of open data on National Climate Change Policy and its implementation together with the ministry’s efforts in the field of Climate Finance on its official website. He said this during the meeting with a high-level delegation from Open Government Partnership Secretariat (OGP) in Islamabad. The Climate Change Division secretary and other senior officers of the ministry were also present at this occasion. This high-level delegation included Deputy CEO Joseph Powel, Program Officer John Mahoney and Regional Civil Society Coordinator for Asia-Pacific-OGP Shreya Basu. The minister briefed the delegation that the Climate Change Ministry was institutionalising the role of civil society in climate related decision-making processes. The OGP delegation briefed that Pakistan’s participation in the forum will bring forth accountability. Ministry’s spokesman Saleem Sheikh said that currently, Pakistan is in the process of preparation of National Action Plan (NAP) to OGP with stakeholder’s consultation. He said that the OGP was a multilateral initiative that aimed to secure concrete commitments from governments to promote transparency, empower citizens, and fight corruption along with adoption of new technologies to strengthen governance. The OGP was formally launched in 2011 when 08 founding governments endorsed the OGP declaration and announced their country’s action plans. At present, 75 OGP participating countries and 15 subnational governments have made over 2500 commitments to make their respective governments more open, rational and accountable.